Flora of the Flatwoods walk will educate you on Heartwood’s longleaf pine, slash pine and scrub oaks. Come learn about how to identify different grasses and see what native plants are currently in bloom. Our Speaker and guide will be Steve Dickman. Steve has lead field trips for the Suncoast Chapter (Hillsborough Co.) of the Florida Native Plant Society for several years. 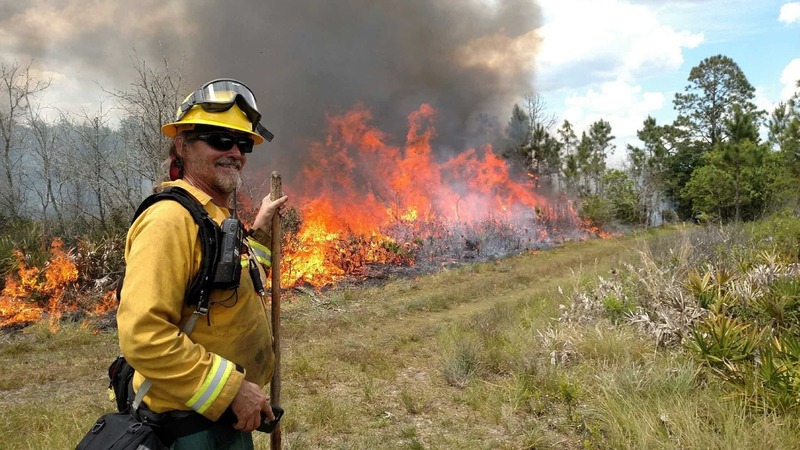 He has 22 years of public and private sector experience in Land Management in west central Florida applying prescribed fire and working to control exotic pest plants. Steve has deposited numerous voucher specimens, with many being new records to Hillsborough County, with the USF Herbarium. Steve currently works as Environmental Land Management Technician for Hills. Co. Conservation & Environmental Lands Dept.